From Hive to Table: How Is Our GreenWise Raw Honey Made? So what’s with all the buzz surrounding raw honey? While there’s not a formal definition for raw honey, it’s honey that hasn’t been filtered or heated above 105 degrees. We love our GreenWise Raw Honey, because it tastes like it came straight from the hive! Our raw honey is strained instead of filtered, so it keeps its naturally occurring pollen and enzymes, and makes for a yummy treat customers love to eat. 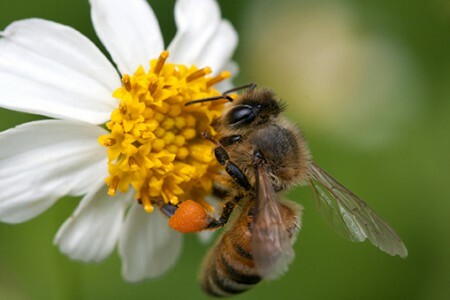 Did you know the average worker bee makes about 1/12 teaspoon of honey in their lifetime? These hard-working bees fly miles from their hives to gather the nectar from flowers, and once they have enough, they travel back to the hive. The nectar is placed into waxy bee made honeycomb cells while it’s still wet. New worker bees fan their wings over the nectar, which slowly begins to dry the liquid honey. This is the most important part because it’s what helps transform the thin liquid honey into the much thicker honey you love adding to your food! Once the honey is ready inside the hive, bees cap and seal the wax cell to keep it clean. All the work that bees put in made us wonder… after the bees cap and seal the honey, how does our GreenWise Raw Honey make it to our shelves? 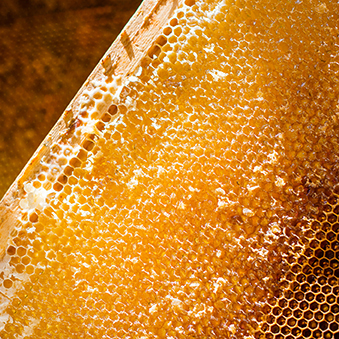 From the hive to your house, honey is made in eight steps. 1. After the hive boxes are full of honey, beekeepers gently remove the bees and transport the boxes to removal facilities. 2. The hive boxes are placed into a machine that is designed to remove the wax seal the bees created. 3. Honey extractors spin the honey out of the hive. 4. The honey is pushed into a storage tank and strained to remove any excess material you wouldn’t want to eat. 5. Large containers are filled with the honey and sealed before being moved into a staging area for shipment to a honey-packing facility. The honey normally crystallizes during shipping. 6. The raw honey is received and samples are drawn to make sure the honey is good to go to our stores. 7. A warming process is applied and slowly liquefies the honey, which is then strained to remove anything not meant to be there, like wax from the honeycomb cells. 8. Once this process is complete, honey is bottled, labeled and boxed to ship out to your local store. Since it goes through this process, our GreenWise Raw Honey is also a Grade A USDA-certified organic item. This means that it is made with certified organic ingredients. As a sweet bonus, you can also track down exactly where your honey came from thanks to the Country of Origin labeling on each container of honey. 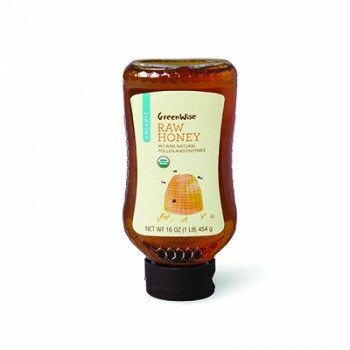 GreenWise Raw Honey can be found at your local Publix! Let us know on Facebook, Twitter and Instagram if you pick some up!